Discussion in 'Lexus Lounge' started by krew, Nov 14, 2016. Lexus USA teases a reveal for this week's auto show in Los Angeles. At first I thought it could be an RC convertible, but the colors seem very radical and concept-like, so I'm also guessing that this is a themed RC F or something along those lines. Pretty sure it won't be anything exciting to me! OlFius and meth.ix like this. More than likely some race car that I don't care to see! ... that steering wheel looks like cheap plastic? CIF and meth.ix like this. Don't think that's a steering wheel. The only place you should see such a warning is on something that would get extremely hot; like an exhaust pipe. meth.ix and OlFius like this. It's not saying that the object can get hot lmao. 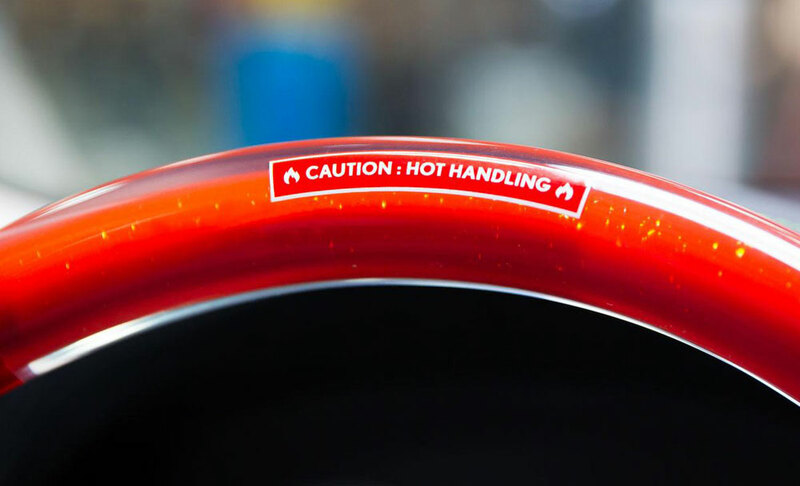 It's saying "hot handling" meaning the vehicle has "hot handling." It's a play on words. It's definitely a steering wheel. RAL and meth.ix like this. If this is a steering wheel, it will be for sure 'hot handling' in the summer. But Lexus is also busy with other things than cars ... I don't know. Just an IS in molten pearl, look at the headlight. An IS in Molten Pearl would be interesting, but barely move the needle. Definitely an IS looking at the headlights, but I don't think it's in Molten Pearl, Maybe derived from the paint color,but there seems to be some yellow specs in the paint as well, or is that how Molten Pearl looks? I have never seen it up close. I doubt it is an IS F but the hot colour suggests otherwise. Maybe a modified show car, but SEMA was just a while ago. I don't know about this TBH. You're right .. doesn't look like the molten pearl. But new stitching on the car means this has got to be either a well executed mod or Lexus showing off a concept. 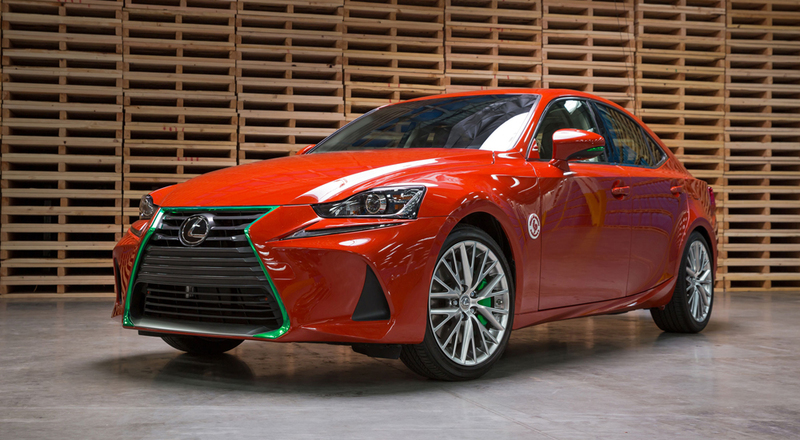 I think it's about time Lexus released an IS F and I think this is it with a new exclusive paint as well. Probably right seeing that the paint is the same color but easy on the "LMAO" ... you could've said it in a more respectful way. i wasn't even being "disrespectful" lmao. you read it that way, bud. Lexus is on roll this year ... it has been consistently disappointing. Yes the LC is exciting news but everything else is meh. Like they couldn't be bothered. What's been exciting this year? Tesla, new E class, new 5 Series, Audi moving up in reliability ... the Ford Mustang coming to the UK. I'm not sure what's going on over at their offices but they're on a downward spiral. They've lost the plot and no one gives a **** ... What do you do with this right now? RAL, mordecai, CIF and 6 others like this.